Nemanja Matic’s future at Manchester United could be in doubt if the Red Devils sign Declan Rice from West Ham in the summer, according to the Irish Independent. The newspaper claims that United are ready to “break the bank” to sign the £50million-rated England international, who has been in superb form for the Hammers in the Premier League this season. It is understood that West Ham are braced for bids for Rice, while Borussia Dortmund’s Jadon Sancho is also on Ole Gunnar Solskjaer’s radar. Rice would definitely be a very good signing if Solskjaer is able to lure him away from the London Stadium in the summer. 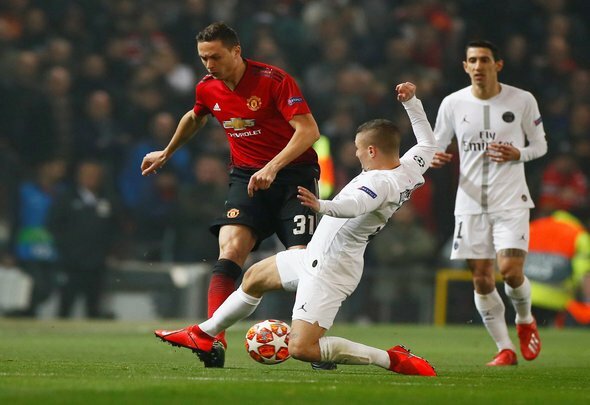 Man United could do with some defensive steel added to their midfielder in the next transfer window, especially as Matic has been so unreliable since heading to Old Trafford in 2017. The 30-year-old Serbia international has not been in amazing form for the Red Devils and Rice would definitely be an upgrade in quality. He is also someone who has at least another 10 years left in his career, so this would be a very smart piece of business by United if they can strike an agreement. West Ham are not going to want to cash in on Rice in the summer unless Man United make a huge offer for the midfielder. Judging by this report, the Red Devils will really push the boat out when it comes to bidding for the 20-year-old. If Man United want Rice that badly then they are bound to be able to sign him, however the midfielder may want to be promised regular first team football before making the switch.